What's the best way to keep a tie casual? A nice, rugged fabric. 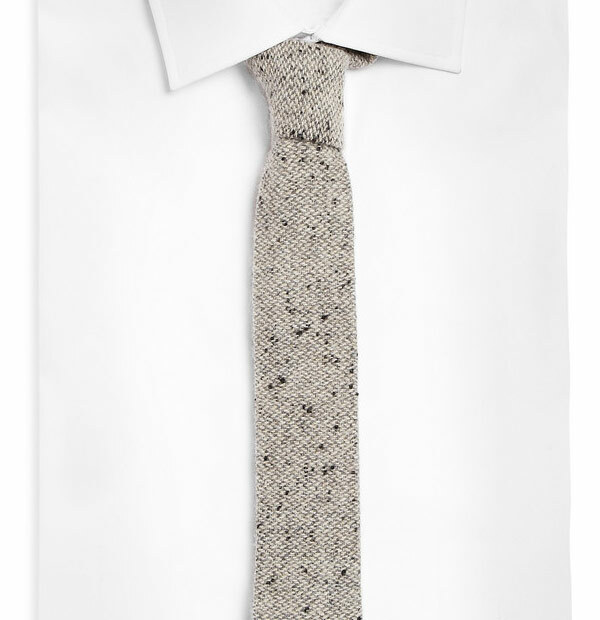 Why not keep fall weather in mind with a nice speckled tweed? This offering from the Corsillo brothers behind The Hill-Side is perfect for when you want a weekday to feel like a Casual Friday. Made from a wool blend, it won't leave your neck sweaty even if the heater's blasting in the office, and the squared-off end has always been a welcome alternative to ubiquitous point ties. Keep the shirting fabric formal, like a nice cotton instead of a less casual oxford on chambray, to make a look that's still respectable but a little rough around the edges.